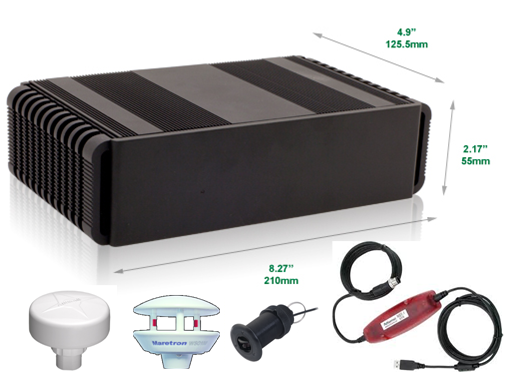 Ockam system components together produce the functions that the system was bought for. The T101 processor is the brain of the new Ockam system. It gathers information from various sensors, calculates outputs, and sends data to displays and other data targets. The CPU also includes a clock and calendar which provides various timing functions to the system. Full 1.75″ 4-digit numeric display with 10-character descriptor. 0.025 amp (lights off), 0.050 amp (lights on). 203 x 152 x 79mm (8 x 6 x 3.1 in.) 662g (1.4 lb). Black-on-white (shown) standard. May be ordered White-on-black. Normally used as a mast display. Local and global adjustable backlight level. 15 pre-programmed and 1 user-defined page menus. Remote control by wired buttons or commands over the Ockam bus or both. Bus commands can be sourced by a PC, the Lynx Keyfob or EyeApp. Automatic page switching can be set up on PC software or via T1 script. Active display area is 94 x 73mm (3.7 x 2.9 in). 0.16 amp (lights off), 0.20 amp (lights on). 203 x 152 x 79mm (8 x 6 x 3.1 in.) 736g (1.6 lb). 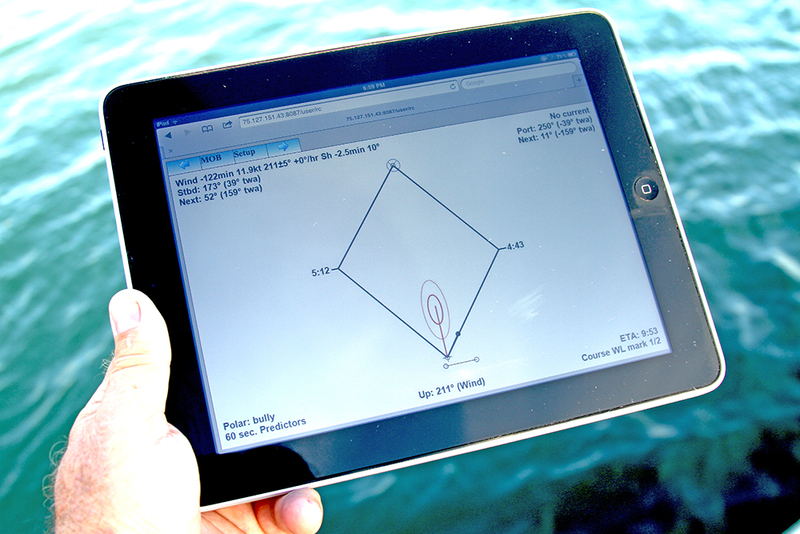 18 user-setup pages of 1 to 4 numeric, stripchart and controller formats. Local and global backlight level. Portrait or Landscape formats, selectable. Black-on-white (shown) or White-on-black, selectable. 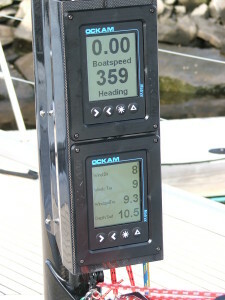 Can be used locally or as a mast display. Vysion™ is the next generation of graphical displays for instrument systems. 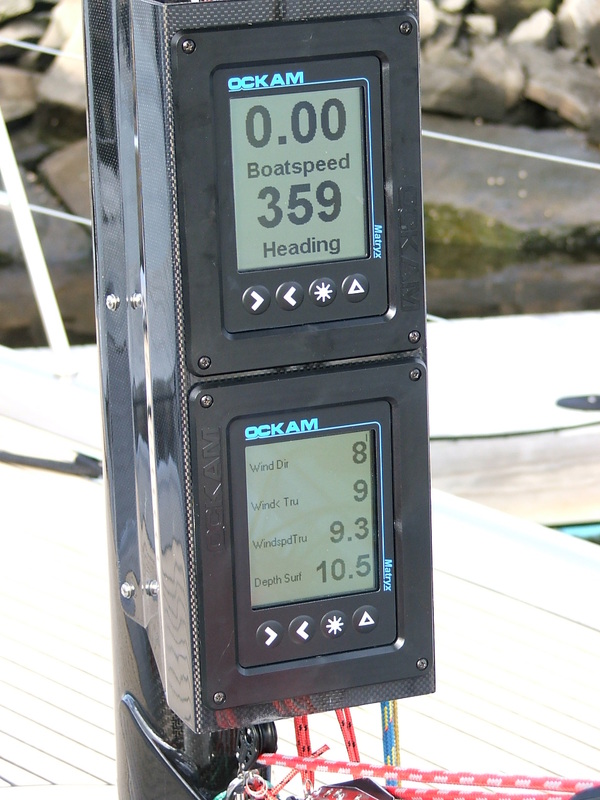 It is a processor system designed to drive commercially available marine graphic monitors. By separating the display generator from the monitor, the choice of monitor size, features and ruggedness is no longer fixed. 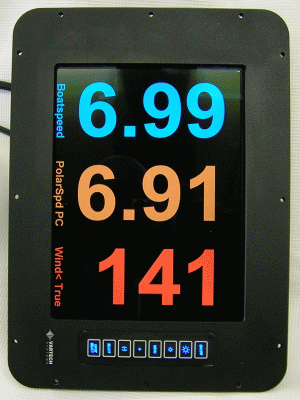 Sunlight readable color graphic display. Any size monitor can be specified, allowing number sizes as large as necessary or desired. Numeric screens are color coded by function to help quickly identify particular items. Suitable for mast or helm. Can display bitmaps from onboard PC or pulled down directly from the internet. 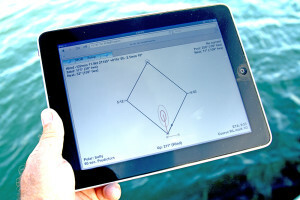 EyeApp is an application that broadcasts graphical sailing pages to any device with a web browser.